I was born in Cusco, Peru, and I started learning music at Qantu Cultural Association. I learned violin and recorder as a Suzuki student. 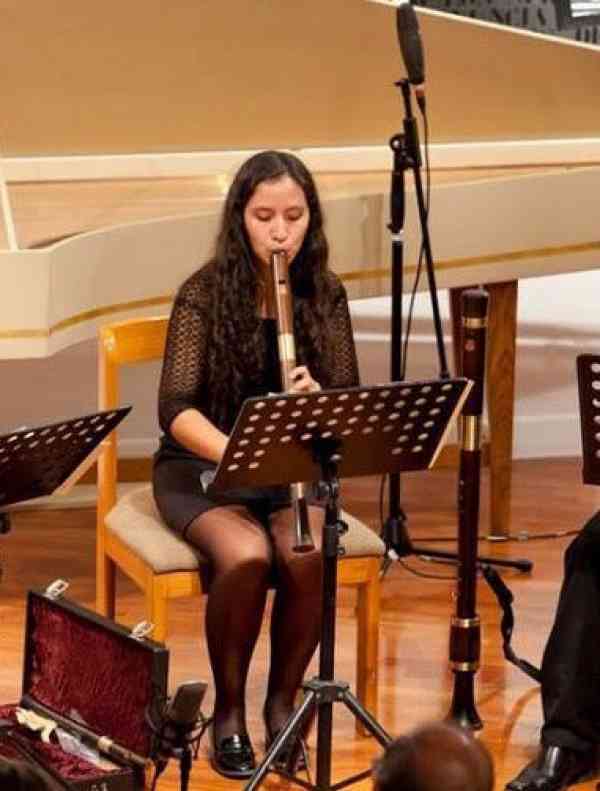 At age of 17, I moved to Lima to study recorder performance at the National Conservatory, being, at 2015, the first graduated in this carreer. At the same time, I continue my Violin studies in private lessons. Since 2011 I’m training as a Suzuki recorder and Violin teacher at Suzuki festivales, and making my own studio and teaching in different programs. I play as violinist at the Peruvian Ensamble of Traditional Instruments, and as recorder player at the Artifex Ensamble, the Conservatory Early Music Ensamble and renaissance music projects. I believe on social transformation throug Music.